This Listing is for (1) Loadstar Karrier ST 145 R12 Load Range D Trailer tire mounted on White Spoke 5 Lug Trailer wheel. 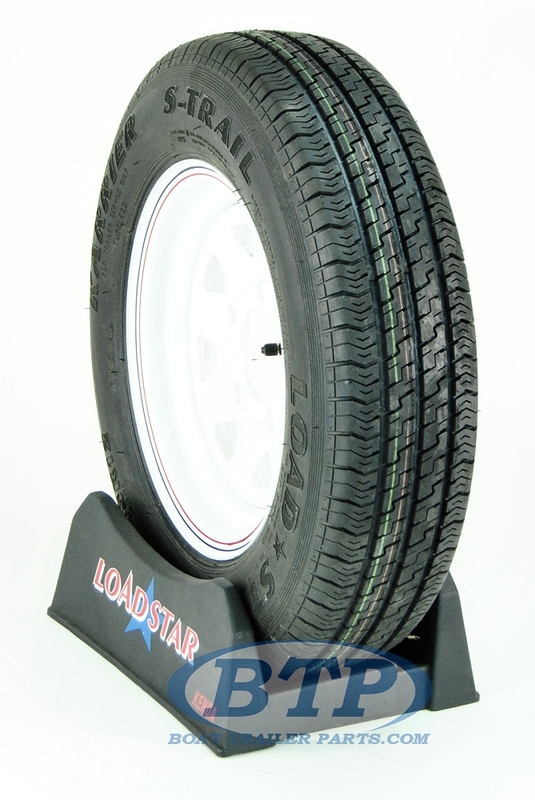 This Loadstar Tire is a Steel Belted Radial. Loadstar Radial Trailer tires are top of the line and feature superior steel belts for maximum tread life and rapid heat dispersion. Radial trailer tires are ideal for high speed travel and highway use. In addition, the tough sidewalls and progressive tread pattern also provide excellent in town performance. The 145 R12 is the ideal choice for customers who previously used 4.80-12 or 5.30-12 Bias Ply trailer tires and are desiring to switch to a Radial Trailer tire. 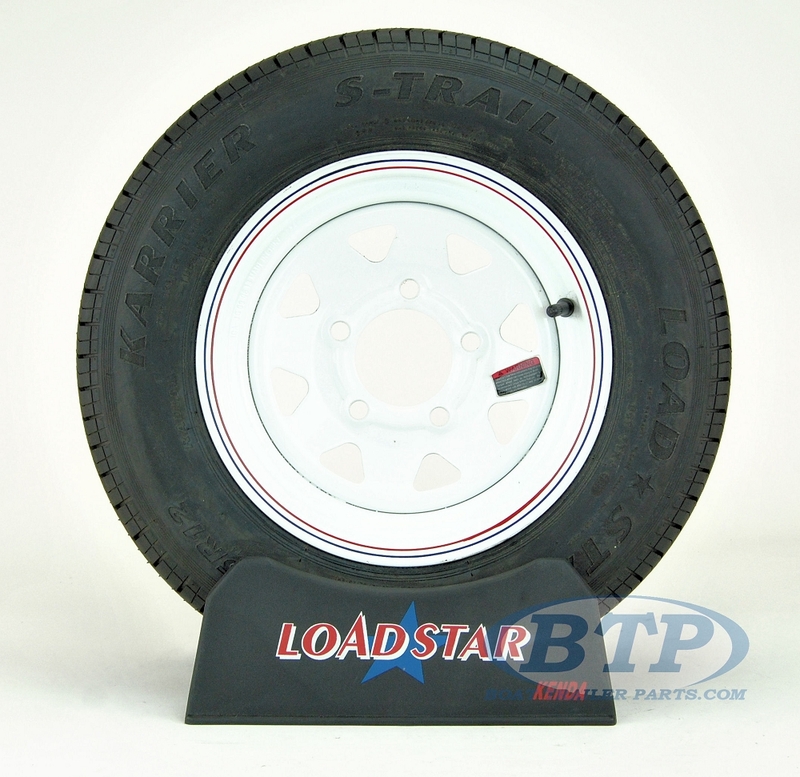 This tire is mounted on a 12" x 4" White Spoke 5 Lug Trailer Rim with a 5 Lug, 5 on 4 1/2 standard lug pattern. This Tire is classified as a Load Range D, which means it is an 8 Ply Tire with 1220 lbs of carrying capacity. Trailers that use this size tire will typically have 2,000 lb Trailer Axles. This would mean that (2) of these Tires together would have a capacity of 2,440 lb, more than enough to properly support your trailer. 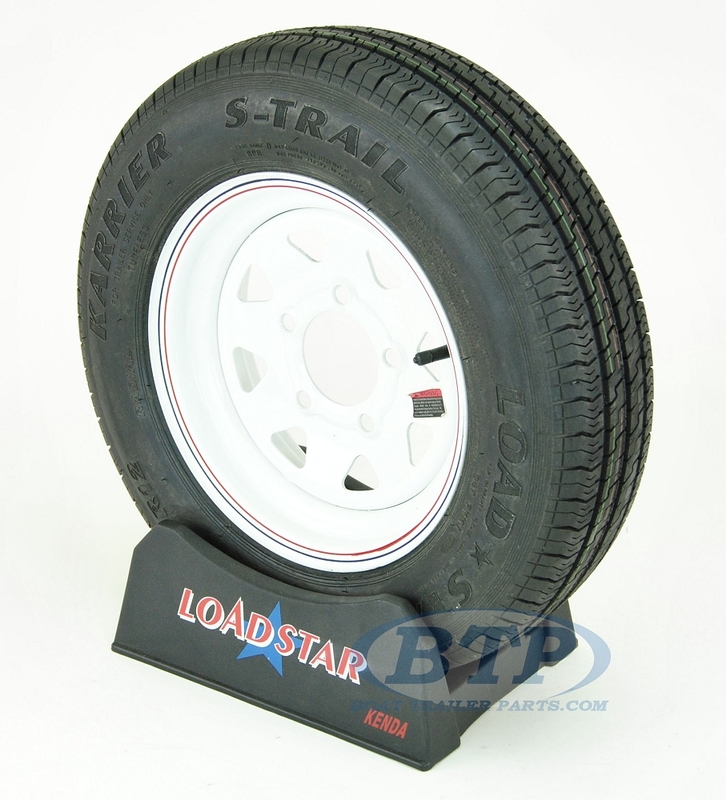 The ST 145 R12 trailer tire has an Overall Diameter of 21.3 inches, and a side width of 5.7 inches. 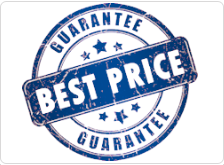 The maximum psi for this trailer tire is 65 lbs, and it is always recommended to inflate your trailer tires to the max psi at all times to ensure proper performance, carrying capacity, and even tread wear.